Many patients with herniated discs are distressed at the extent to which they interfere with everyday life. Even a sneeze is enough to cause pain in a limb, neck, or back. Our NYC chiropractor can diagnose this and other spinal disorders and create a natural treatment plan to help the body heal itself. Our Balanced Health Medical practice is on New York’s Upper East Side, not far from Rockefeller Center. We serve the Midtown area at a location convenient for patients in ZIPs 10022, 10017, 10020, 10036, and 10019. 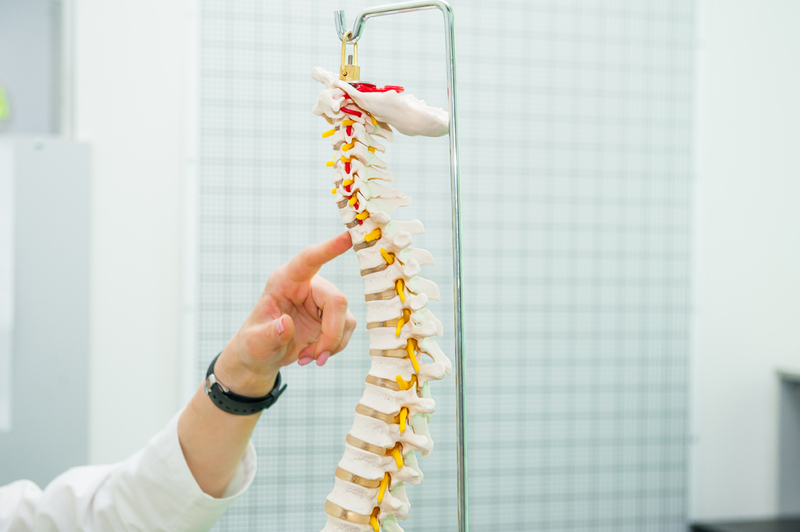 Every disc between the bones in the human spine has a hard covering over a soft center. Each time these structures develop a problem, herniated discs could follow. The actual herniation, sometimes referred to as a ruptured disc, occurs when the soft interior filler manages to push through a break in a disc’s exterior. In some cases, patients notice no symptoms. More frequently, substantial discomfort can develop. Our doctor notes that herniation in the lower portion of the back typically links to discomfort in the buttocks, thigh, and calf. With a neck disc, it is usually in the shoulder or the arm. When the problem affects nerves and muscles, patients can also experience numbness, tingling, and difficulty holding items. Although disc herniation typically results from injury, it is sometimes the result of aging. Chiropractic treatment for a disc herniation is natural and avoids surgery or medication. The goal is finding the source of the problem, then correcting it rather than addressing individual symptoms. Therapies such as massage and acupuncture also bring relief for some patients who suffer from herniated or bulging discs. Why allow pain from disc herniation or other spinal disorder to interfere with the lifestyle you love? Out NYC chiropractor, Dr. John Calabria, can diagnose your problem and design a treatment plan to bring relief. Call our Balanced Health Medical practice today at (212)-755-1717 to schedule an appointment and start on your journey to wellness. Our Upper East Side office, near Rockefeller Center, serves Manhattan and the Midtown New York area and is extremely convenient for patients in ZIPs 10022, 10017, 10020, 10036, and 10019. We offer multidisciplinary services, including chiropractic, acupuncture, sports massage, physical therapy, and massage.